how to get papers on mathematical chess problems. Similar pages are here and here and here and here. Conel Hugh O’Donel Alexander (1909-1974), late British chess champion. Alexander may not have had a PhD in mathematics but taught mathematics and he did mathematical work during WWII (code and cryptography), as did the famous Soviet chess player David Bronstein (see the book Kahn, Kahn on codes). He was the strongest English player after WWII, until Jonathan Penrose appeared. Adolf Anderssen (1818-1879). Pre World Championships but is regarded as the strongest player in the world between 1859 and 1866. He received a degree (probably not a PhD) in mathematics from Breslau University and taught mathematics at the Friedrichs gymnasium from 1847 to 1879. He was promoted to Professor in 1865 and was given an honorary doctorate by Breslau (for his accomplishments in chess) in 1865. Magdy Amin Assem (195?-1996) specialized in p-adic representation theory and harmonic analysis on p-adic reductive groups. He published several important papers before a ruptured aneurysm tragically took his life. He was IM strength (rated 2379) in 1996. Gedeon Barcza (1911-1986), pronounced bartsa, was a Hungarian professor of mathematics and a chess grandmaster. The opening 1.Nf3 d5 2.g3 is called the Barcza System. The opening 1.e4 e6 2.d4 c5 is known as the Barcza-Larsen Defense. Ludwig Erdmann Bledow (1795-1846) was a German professor of mathematics (PhD). He founded the first German chess association, Berliner Schachgesellschaft, in 1827. He was the first person to suggest an international chess tournament (in a letter to von der Lasa in 1843). His chess rating is not known but he did at one point win a match against Adolf Anderssen. Robert Coveyou (1915 – 1996) completed an M.S. degree in Mathematics, and joined the Oak Ridge National Laboratory as a research mathematician. He became a recognized expert in pseudo-random number generators. He is known for the quotation “The generation of random numbers is too important to be left to chance,” which is based on a title of a paper he wrote. An excellent tournament chess player, he was Tennessee State Champion eight times. Nathan Divinsky (1925-2012) earned a PhD in Mathematics in 1950 from the University of Chicago and was a mathematics professor at the University of British Columbia in Vancouver. He tied for first place in the 1959 Manitoba Open. Noam Elkies (1966-), a Professor of Mathematics at Harvard University specializing in number theory, is a study composer and problem solver (ex-world champion). Prof. Elkies, at age 26, became the youngest scholar ever to have attained a tenured professorship at Harvard. One of his endgame studies is mentioned, for example, in the book Technique for the tournament player, by GM Yusupov and IM Dvoretsky, Henry Holt, 1995. He wrote 11 very interesting columns on Endgame Exporations (posted by permission). Some other retrograde chess constructions of his may be found at the interesting Dead Reckoning web site of Andrew Buchanan. See also Professor Elkies’s very interesting Chess and Mathematics Seminar pages. Thomas Ernst earned a Ph.D. in mathematics from Uppsala Univ. in 2002 and does research in algebraic combinatorics with applications to mathematical physics. His chess rating is about 2400 (FIDE). Machgielis (Max) Euwe (1901-1981), World Chess Champion from 1935-1937, President of FIDE (Fédération Internationale des Echecs) from 1970 to 1978, and arbitrator over the turbulent Fischer – Spassky World Championship match in Reykjavik, Iceland in 1972. I don’t know as many details of his mathematical career as I’d like. One source gives: PhD (or actually its Dutch equivalent) in Mathematics from Amsterdam University in 1926. Another gives: Doctorate in philosophy in 1923 and taught as a career. Published an important paper on the mathematics of chess “Mengentheoretische Betrachtungen uber das Schachspiel”. This paper lead to a rule change in chess regarding the 3-times repetition draw. Ed Formanek (194?-), International Master. Ph.D. Rice University 1970. Retired from the mathematics faculty at Penn State Univ. Worked primarily in matrix theory and representation theory. Stephen L. Jones is an attorney in LA, but when younger, taught math in the UMass system and spent a term as a member of the Institute for Advanced Study in Princeton NJ. He is one rung below the level of International Master at over the board chess; in correspondence chess, he has earned two of the three norms needed to become a Grandmaster. Charles Kalme (1939-2002), earned his master title in chess at 15, was US Junior champ in 1954, 1955, US Intercollegiate champ in 1957, and drew in his game against Bobby Fischer in the 1960 US championship. In 1960, he also was selected to be on the First Team All-Ivy Men’s Soccer team, as well as the US Student Olympiad chess team. (Incidently, it is reported that this team, which included William Lombary on board one, did so well against the Soviets in their match that Boris Spassky, board one on the Soviet team, was denied forieng travel for two years as punishment.) In 1961 graduated 1st in his class at the Moore School of Electrical Engineering, The University of Pennsylvania, in Philadelphia. He also received the Cane award (a leadership award) that year. After getting his PhD from NYU (advisor Lipman Bers) in 1967 he to UC Berkeley for 2 years then to USC for 4-5 years. He published 2 papers in mathematics in this period, “A note on the connectivity of components of Kleinian groups”, Trans. Amer. Math. Soc. 137 1969 301–307, and “Remarks on a paper by Lipman Bers”, Ann. of Math. (2) 91 1970 601–606. He also translated Siegel and Moser, Lectures on celestial mechanics, Springer-Verlag, New York, 1971, from the German original. He was important in the early stages of computer chess programming. In fact, his picture and annotations of a game were featured in the article “An advice-taking chess computer” which appeared in the June 1973 issue of Scientific American. He was an associate editor at Math Reviews from 1975-1977 and then worked in the computer industry. Later in his life he worked on trying to bring computers to elementary schools in his native Latvia A National Strategy for Bringing Computer Literacy to Latvian Schools. His highest chess rating was acheived later in his life during a “chess comeback”: 2458. Miroslav Katetov (1918 -1995) earned his PhD from Charles Univ in 1939. Katetov was IM chess player (earned in 1951) and published about 70 research papers, mostly from topology and functional analysis. 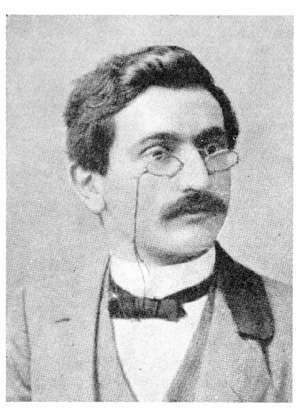 Emanuel Lasker (1868-1941), World Chess Champion from 1894-1921, PhD (or more precisely its German equivalent) in Mathematics from Erlangen Univ in 1902. Author of the influential paper “Zur theorie der moduln und ideale,” Math. Ann. 60(1905)20-116, where the well-known Lasker-Noether Primary Ideal Decomposition Theorem in Commutative Algebra was proven (it can be downloaded for free here). Lasker wrote and published numerous books and papers on mathematics, chess (and other games), and philosophy. Vania Mascioni, former IECG Chairperson (IECG is the Internet Email Chess Group), is rated 2326 by IECG (as of 4-99). His area is Functional Analysis and Operator Theory. A. Jonathan Mestel, grandmaster in over-the-board play and in chess problem solving, is an applied mathematician specializing in fluid mechanics and is the author of numerous research papers. He is on the mathematics faculty of the Imperial College in London. Walter D. Morris (196?-), International Master. Currently on the mathematics faculty at George Mason Univ in Virginia. Karsten Müller earned the Grandmaster title in 1998 and a PhD in mathematics in 2002 at the University of Hamburg. John Nunn (1955-), Chess Grandmaster, D. Phil. (from Oxford Univ.) in 1978 at the age of 23. His PhD thesis is in algebraic topology. Nunn is also a GM chess problem solver. Hans-Peter Rehm (1942-), earned his PhD in Mathematics from Karlsruhe Univ. (1970) then taught there for many years. He is a grandmaster of chess composition. He has written several papers in mathematics, such as “Prime factorization of integral Cayley octaves”, Ann. Fac. Sci. Toulouse Math (1993), but most in differential algebra, his specialty. A collection of his problems has been published as: Hans+Peter+Rehm=Schach Ausgewählte Schachkompositionen & Aufsätze (= selected chess problems and articles), Aachen 1994. Kenneth W. Regan, Professor of Computer Science at the State Univ. of New York Buffalo, is currently rated 2453. His research is in computational complexity, a field of computer science which has a significant mathematical component. Jakob Rosanes obtained his mathematics doctorate from the Univ. of Breslau in 1865 where he taught for the rest of his life. In the 1860s he played a match against A. Anderssen which ended with 3 wins, 3 losses, and 1 draw. Jan Rusinek (1950-) obtained his mathematics PhD in 1978 and earned a Grandmaster of Chess Composition in 1992. Jon Speelman (1956-) is an English Grandmaster chess player and chess writer. He earned his PhD in mathematics from Oxford. Others that might go on this list would be Henry Ernest Atkins (he taught mathematics but never got a PhD, but won the British Chess Championship 9 times in the early 1900s), Andrew Kalotay (who earned a PhD in statistics in 1968 from the Univ of Toronto, and was a Master level chess player but was not formally given an IM chess ranking), Kenneth Rogoff (has a PhD in economics but has published statistics research papers and is a GM in chess), and Duncan Suttles (in the 1960s he started but never finished his PhD in mathematics, but is a chess GM). Timothy Chow, “A Short Proof of the Rook Reciprocity Theorem”, in volume 3, 1996, of the Electronic Journal of Combinatorics. Noam Elkies, “On numbers and endgames: Combinatorial game theory in chess endgames”, in 1996 “Games of No Chance” = Proceedings of the workshop on combinatorial games held July’94 at MSRI. Available from MSRI Publications — Volume 29 or Noam Elkies’ site. Noam Elkies and Richard Stanley, “Chess and Mathematics” book (in preparation). Awani Kumar, “Knight’s Tours in 3 Dimensions”, in The Games and Puzzles Journal The On-line Journal for Mathematical Recreations, Issue 43, January-April 2006. Richard M. Low and Mark Stamp, “King and Rook Vs. King on a Quarter-Infinite Board“, in Integers, volume 6(2006). Igor Rivin, Ilan Vardi, Paul Zimmermann, “The N-queens problem“, American Mathematical Monthly 101 (1994), no. 7, 629-639. Lewis Benjamin Stiller, “Exploiting symmetries on parallel architecture”, PhD thesis, CS Dept, Johns Hopkins Univ. 1995 Closely related is his Games of No Chance paper, “Multilinear Algebra and Chess Endgames“. Herbert S. Wilf, “The Problem of the Kings”, and Michael Larsen, “The Problem of Kings”, both in volume 2, 1995, of the Electronic Journal of Combinatorics. Papers on odd king tours by D. Joyner and M. Fourte (appeared in the J. of Rec. Math., 2003) and even king tours by M. Kidwell and C. Bailey (in Mathematics Magazine, vol 58, 1985). Lesson 3 in the chess lessons by Coach Epshteyn at UMBC. Thanks to Christoph Bandelow, Max Burkett, Elaine Griffith, Hannu Lehto, John Kalme, Ewart Shaw, Richard Stanley, Will Traves, Steven Dowd, Z. Kornin, Noam Elkies and Hal Bogner for help and corrections on this page. This page is an updated version of that page and the other page. This entry was posted in chess, math and tagged chess, math. Bookmark the permalink.